Once being apart of the 7th and S street community, John’s Place is now a local mystery. Existing only thirty years ago, John’s Place was a popular tiny bar thriving during the 1990s. During this period, Washington D.C., succumbs to the rise of crack and violence. Crack-cocaine was sold at hundreds of open air drug markets, which addiction and violence arose in various Washingtonian neighborhoods such as Shaw-Howard, thus giving D.C. the former “murder capital” nickname. 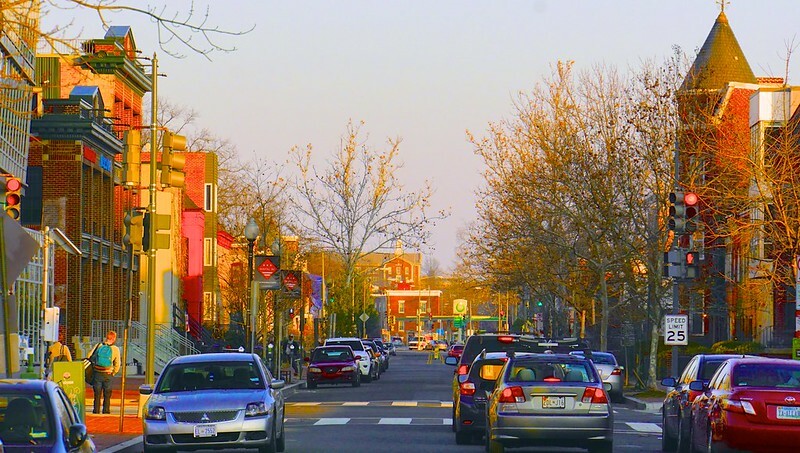 Formerly harboring some of the highest D.C. crime rates, the 7th and S street neighborhood was known for being the one of the most dangerous neighborhoods in Shaw-Howard and being the former location of the John’s Place bar. After reading the S Street Rising book, which portrayed this neighborhood as treacherous, I was under the impression that the neighborhood is dangerous and my safety would be compromised during my visit. Growing up in Washington D.C., my family named locations that I was banned from visiting and this neighborhood was one of them. I was curious to work on this project, because I have the opportunity to see whether the neighborhood has changed or not and possible defy some of the stigmas surrounding the community. After my visit, I was very surprised with my findings. A neighborhood once known for having high crime and drug rates, has changed drastically. The former John’s Place bar is now an abandoned building, vanishing within a community which is currently being affected by gentrification. The exterior of the building has chipping paint and deteriorating bricks and the interior of the building is neglected as well. Even though the building still physically remains within the community, many of the other buildings within the 7th and S street community have been altered. Buildings within Shaw-Howard have been torn down to create new projects that appease newer residents. 7th and S street is transforming into an affluent neighborhood filled with newer convenient stores, apartment complexes, and upcoming restaurants. As stated previously, the John’s Place local bar is no longer an existent part of the 7th and S street community. Overtime, the surrounding community has made efforts to move forward from the violence and crack epidemic. In this essay, I discuss how after the demolishment of John’s Place, the community surrounding the rundown building has transformed and is a reflection of periodic and societal change, especially due to the rise of gentrification. As I began exploring the 7th and S street neighborhood, in search of finding information about John’s Place, I had much difficulty. I went to various parts of the neighborhood trying to interview both long term and short terms residents. Many of the people I spoke to were very uncomfortable with me asking questions or were unaware of the bar’s existence. Through my search and neighborhood exploration, I began developing more interest in the community. I noticed significant changes such as building construction and more apartment complexes. The most eye catching addition to the neighborhood is the Channing E. Phillips apartment complex, which I focused majority of my search. However, I still investigated and rhetorically analyzed other noteworthy aspects such as Log Cabin Liquors, Elbo Market, and the residential community; thus becoming my commonplaces and topos. Most of the research I received is from interviews and annotated bibliographies. Within Ruben Castaneda S Street rising novel, he portrays this S street community as treacherous and the John’s Place was known for having violent outbursts. During my visit in the 1700 block neighborhood of 7th street NW, in search for John’s Place, I visited the Log Cabin Liquors store to learn more about the neighborhood. I met the owner of the establishment and he claims the business has been established for almost 30 years. The owner seemed very uncomfortable with me asking questions and I didn’t get his name down. However, he gave me very limited information about the neighborhood and John’s Place. According to the owner, John’s Place bar was located across the street from the liquor store. John’s Place was shut down 10 years ago due to another shooting either inside the club or around the area. He claims that the neighborhood has changed drastic after the shutdown of the club. The violence within the community decreased over the last few years, however it is still present. Log Cabin Liquors is one of the very few places from the 1990s (pre-gentrification era) that have still remained in Shaw-Howard. The store clerk from Log Cabin Liquors has a similar description of the neighborhood compared to the S Street Rising book. As stated previously, Castaneda portrayed the neighborhood as violent and drug ridden, which the store clerk confirms the statements from the book. However, there is a difference in opinion compared to the store clerks of the Elbo Market. As I entered, I was immediately greeted by friendly workers in this convenience store. Initially, the store clerks were a bit uneasy with me entering the store and asking questions about the neighborhood and their place of establishment. Elias, one of the store clerks working at the store, very limited information about the neighborhood. Elias has been working at Elbo Market for about five months now and was very unsure to when Elbo Market opened, but does it believe the store became apart of the neighborhood five to six years ago. Elias and the other store clerk has never heard of John’s Place, but still described the minimal changes within the neighborhood such as traffic light reconstruction and the new apartment buildings across the street located in 1700-1730 7th street NW. From his descriptions, it seems as though the 1700 block of 7th street NW are receiving the effects of gentrification. Is gentrification greatly affecting this neighborhood? This something I seriously questioned through my search. In order to learn about gentrification within this community, I used my annotated bibliographies for that research. My first two annotated bibliographies especially focused in on gentrification within Shaw Howard and I learned about the negative effects gentrification has on the community. In his In Gentrified Shaw, Old-Timers Offer Advice To Young — And Sometimes Naive — Newcomers, author Paul Duggan, discusses the history amongst the Shaw community, the rises and falls within the last few decades, and changes within the community from perspectives of the older Shaw residents. Duggan uses his article to to argue that gentrification affects Shaw residents greatly due to that fact that Shaw-Howard predominantly houses ethnic minorities and low income residents. Duggan uses the perspectives of elder residents within Shaw’s community to better explain the changes and impact pertaining to the environment. From this article I learned that residents are being pressured to leave their premises, despite the fact that most of these local residents have been apart of the community for decades. From Elias’ descriptions, I was very curious to learn more about these neighborhood changes and how the residents are being affected by these various forms of gentrification. Through my search, I also stumbled upon a large renovated apartment complex called the Channing E. Phillips building. The Channing E. Phillips Homes, a newer addition to the 7th and S street community, is an apartment complex that caters to low income residents. The apartments is available to those who make about 60 percent of the area median income, which is about $65,000 for a family of four. The Westmoreland Congregational United Church of Christ and Lincoln Congregational UCC, both church organizations located in Shaw-Howard collaborated to renovate the establishment. The Channing E. Phillips building is still not open to residents yet, however community residents and city officials are expecting this apartment complex positively impact the neighborhood. The Channing E. Philips housing complex is expected to help save the community from gentrification and bridge housing gaps. A few of the people I met with on the streets agree that the Channing E. Phillips will help tackle some of the gentrification issues facing the Shaw-Howard Community. As stated previously, the goal of this assignment is to observe transformation within the community. After the demolishment of John’s Place, there were significant changes made within the community. Crack and violence has decreased over time and the cost of housing has gone up. More developments such as restaurants and apartment complexes have been built. Since, the cost of living has increased in Shaw-Howard, the Channing E. Phillips apartment complexes aids in countering housing gaps. 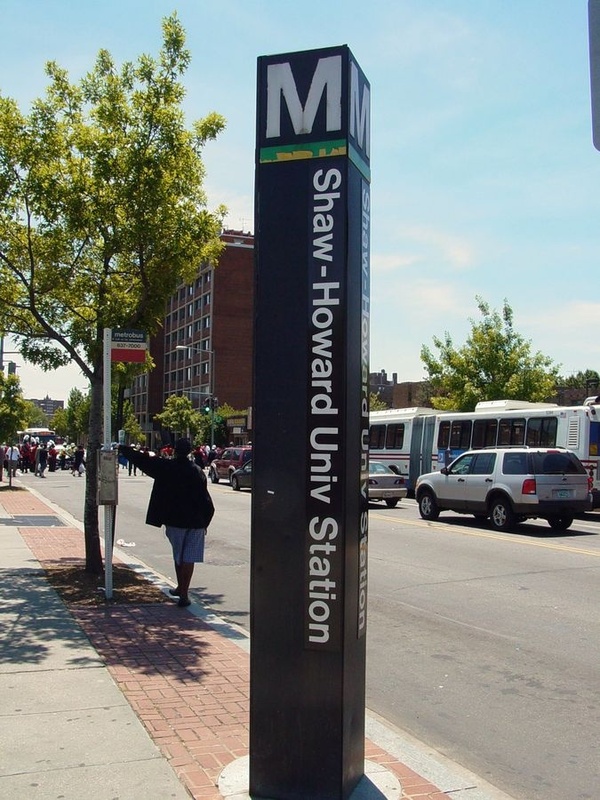 The locals within this community seem to be satisfied with the current changes compared to life in Shaw-Howard during the 1990s. Overall, this project is a compilation of all the work I have done. From this assignment, I learned a lot more about the community and the community is nothing like the way Castaneda portrayed it within his book. It is unfortunate that John’s Place is non-existent to the current community and the very few articles about John’s Place talk about shootings inside or near the club, but the community has moved forward. This project helped me denounce some of the stigmas that surround the community. There is clearly unity amongst members, especially during these challenging changes that effect housing and living. Castaneda, Ruben. 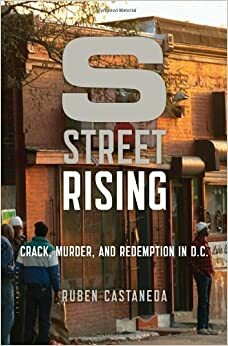 S Street Rising: Crack, Murder, and Redemption in D.C. New York, Bloomsbury USA, 2014. Douthat, Chris. “Federal And Local Officials Celebrate Construction Kickoff For Channing E. Phillips Homes At Shaw/Howard University Metro”. Georgetown, DC Patch. Accessed May 5, 2017. http://patch.com/district-columbia/georgetown/federal-and-local-officials-celebrate-construction-kickoff-channing-e-phillips-homes-shawhoward.